So our top-rated sofa cleaning service? Make contact with us right away and we will quickly give you a non- and free quote at 020 3746 3201 or our form. Our skilled curtain cleaners could provide you with expert drapery cleaning as well as blinds cleaning. We only utilize Prochem cleaning solutions which are safe for you and your domestic pets. We can dry or steam clean your curtains and upholstery and remove any treatable stains at an excellent price. 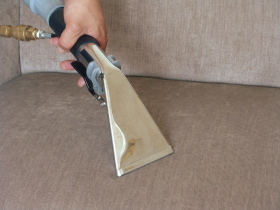 Dear customers, our modern sofa cleaning company provides low-cost services. We offer discounts for regular customers and for another service booked with us. Consider using our mattress treatment cleaning service, it can be booked throughout the whole year. We don’t extra charge either for weekends or for holidays. All rates are with VAT included! Our double checked and skilled cleaners can certainly provide you with excellent bed furniture cleaning procedures. A special UV light procedure is put to use for dust mites, bacteria or dead skin cells killing. That makes your bed healthier and harmless to sleep on once again. This approach is pretty quick and highly efficient. Our service appropriate for individuals with respiratory problems, eczema, dust allergies, skin & eye irritations and other disorders that can be prompted by dust mites and allergens in the mattress. We are specialist in bed bugs elimination too. To make sure that your bed furniture is free of dust and dust mites, grab your phone and schedule our staff of skilled mattress cleaners right now! We have a policy of straightforward bookings for our upholstery cleaning Kingston upon Thames KT service or every other services (including car upholstery cleaning). Call up now at 020 3746 3201 or complete an online booking form. Our operators will then send you confirmation within 2 hrs. You can our seasoned sofa and upholstery cleaners to put on particular fabric protection solution and deodorise your furniture. Better Cleaning Company has fair and prices, and provide holiday and weekend availability.